Do you feel overwhelmed by choices when choosing running shoes? 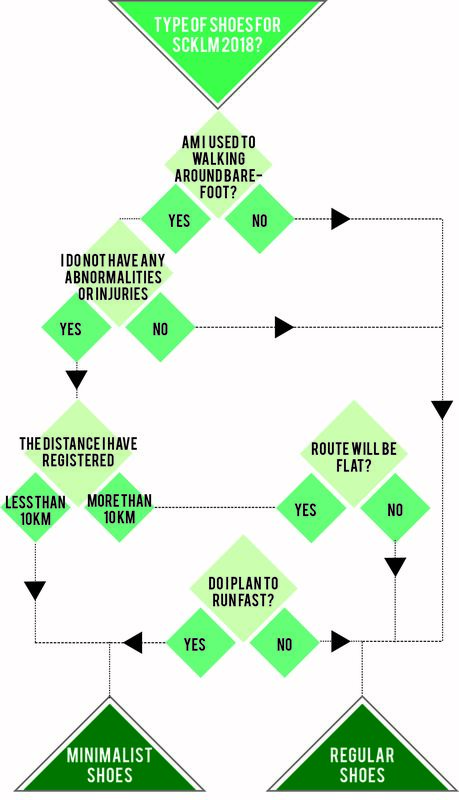 Should you go for cushioned shoes? Or light-weight shoes? How do you choose what type of shoes are right for you? Do you have various types of shoes in your closet, yet unsure about which shoes should you wear for this weekend’s big race? Based on my general observation, there are 2 types of running shoes in the market: Minimalist shoes or regular, cushioned shoes. Regular shoes are equipped with the padding and support required to cushion the impact of running. Their soles are thick. While minimalist running shoes are the exact opposite – they are very light, thin, and flexible. Minimalist shoes mimic the feeling of running barefoot with almost no cushioning. Traditionally, people have been running barefoot for years. From that ideology, running professionals and designers came up with the idea for minimalist shoes. For every research and data that supports minimalist shoes, there are equal papers and numbers that shows otherwise. Some say that cushioned shoes prevent injury, allows you to run longer, and it is ‘safer’. However, I have also observed fellow runners that still complain from ITB, knee pains, and twisted ankles from wearing highly cushioned shoes. Therefore, I conclude that there is no right or wrong answer. It depends on various factors, such as the condition of your feet, experiences in running, running condition, distance, etc.